Make romance a part of any day! 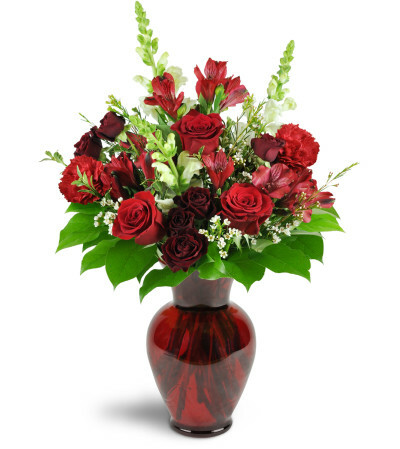 Her heart with fill with joy and appreciation when she sees this stunning arrangement, featuring red roses and red spray roses, plus a lovely variety of other red and white blooms. It's a romantic gesture that won't be forgotten. Red roses or carnations, spray roses, and alstroemeria are arranged with white snapdragons and waxflower in this romantic display. A deep red glass vase completes the elegant look. Thank you for the happiness my mom felt with the beautiful flowers I sent her today. 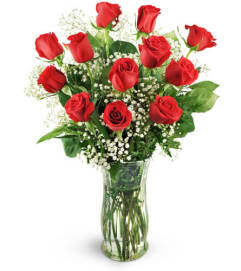 M's Flowers always delivers their best. 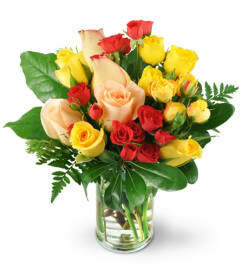 You can't go wrong with M's Flowers. 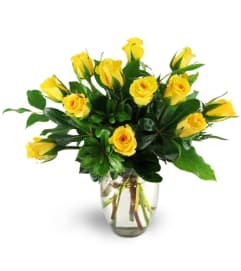 They have a team that can do whatever you need and they arrange beautiful florals that you will be proud to send to your friends and family. I've been using M's for many years. 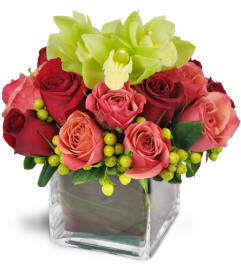 The family/owners really care about giving you beautiful flowers delivered in a timely manner. They are not afraid to go out of their way to make you happy. You can't go wrong!